Meanwhile, back on Ciarkian , Kevin and Marty were en route to the Port Authority building. Marty figured it was simple! They’d go to the port authority with him, make sure he wasn’t going to ream them, and either stow him below decks or stab him a few times if he was. It would be a good example to the other tax collectors! They infested ports, like rats! Kevin was considering… Accompany him to see his superiors and point out where he’d been skimming; then, if they were in on it, either go and see their superiors or suggest throwing him to the annoyed wolf and swiping his cut. If they were not in on it – or their skimming was better hidden and their official didn’t know about it – then he was in trouble. Hopefully they wouldn’t try to cover for the idiot; allowing themselves to be cheated by someone this dumb was unthinkable – and would mark them as gullible idiots themselves AND as being too weak to stand up for themselves! That wouldn’t leave many alternatives that wouldn’t ruin their vacation… Being conspicuous was one thing, opening with a disaster was quite another! Maybe there’d be some leverage… He had the Thralls start a quick sweep to try and find out a bit about Mr “Mandas”. The Wolverine Official took them through the dockyard to the main office, just above the harbor itself. From there they could see that the city itself was nestled between several small mountains that formed the harbor. There were signs of a pass or two leading through the mountains – and it looked like the harbor and mountainsides had been substantially reworked to better accommodate the city itself. Meanwhile, Kevin was listening to his Thralls reports. Port Official Jeriah Mandas. A member of the well connected, and rather ruthless, Mandas family. Well educated, if not very bright. Jeriah’s family had been running the Port Authority for four decades now, and had substantially increased their holdings in the city thanks to their share of the official tariffs. Jeriah himself was fascinated with all things nautical, but was rejected for naval service. There was a major rivalry between the Mandas running the port and the Ghondus (Otter) family who ran the major mercantile fleets. He had two children (well, that was hopeful! Maybe he could get them gambling or something and get some personal leverage on the man!) who were (sigh) three and five years old. Far too young for anything to be binding, even if it would have been sporting. From his own observations, unlike most of the people around, Jeriah was a phantasm – which meant that he was almost certainly a pawn; a normal phantasm wouldn’t dare to skim excessively unless someone had put him there specifically to do it. Just as importantly, a real person would have realized that he or she could cut way down on the personal skimming and still get rich given the immense value of the cargo they’d arrived with. Marty was on the link, and had reached one conclusion already; if the Mandas family had been growing that fast, the entire family had to be padding the tariffs for some grand-scale skimming – but that meant that the level of personal skimming that Jeriah was engaged in was certainly well over the top. He really MUST be an idiot; even if he was in on it with someone higher up, didn’t he know that they’d skip town and leave him to take the blame as soon as someone really took exception to it? The Mandas would never go far enough to endanger their current sweetheart deal! The Kiergan (Canine) family, who ran the city guard and most of what land-based military forces there were – mostly just some guards at the passes and a few groups that chased minor intrusions. The Verdal (Equine) family, who ran the land-based caravans, and had gradually been losing ground to ship-based trade routes for generations. It was only the fact that some rarities were only found in the interior that kept them going. The Linvari (Feline) family, who ran the Tyerin Magical Academy – the largest in the city – and were mainstays of the old nobility and the knightly orders. Their family hearthstone was one of the more powerful ones in the city, and provided numerous magical enhancements. Interestingly, they also controlled the mountain passes leading to the continental interior – and were nominally in charge of land defense, although most of the actual troops were from the Kiergan family. The Hakann (Procyon, primarily Raccoon) family, who controlled the aqueducts, water distribution, and navy – as well as much of the Artificers Guild. The Ramun (Fox) family, who ran the priesthood and – far more importantly – ran the taxation system, which seemed to give them immense wealth somehow. Perhaps they got a share or something? The Orav (Owl) family, who ran the Halls of Enlightenment Magical Academy, and dominated the Scholars Guild as well. 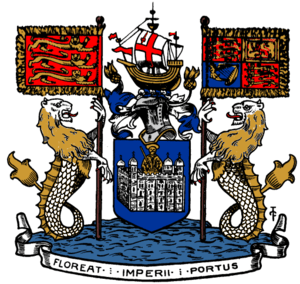 The government was basically a council led by the most powerful families in the city. Most of the major families had seats, and the infighting was best described as “barely civil”. The major families each ran some critical service or property in the city itself, and used the money they got that way to fund attempts to gain control of MORE of the city, with the weaker groups regularly combining their influence to take down anyone who was getting TOO powerful. There was a local Amarant Solutions trading outpost, where the Thralls mostly sold various goods and occasional magical services and bought local rarities and slaves. Kevin looked at that and didn’t see a lot of leverage. There was no overlord or anything to point the skimming out to. They could join another faction – but at the moment, the only obvious leverage before threats of violence was that Jeriah had been skimming excessively – as opposed to the expected bit of graft. Marty was wondering what it would take to break into the game… It looked like – at a minimum – a LOT of money and/or a major service/property that the others were all going to want to have or use. Like the docks, the properties leading to the mountain pass, the mercantile fleets, the overland caravans, being the most powerful mage in the city, or having trade contacts. Hm. It seemed likely that having access to innocuous children with secret magic powers would count. The Port Authority building itself was a rather lavish building overlooking the harbor and docks. There was a splendid view of the harbor vista from it, and it was abruptly apparent that there were quite a lot more ships coming and going through here than their initial impressions had suggested… They’d probably just arrived between groups. There was a lavish lobby with a pretty wolverine receptionist waiting at the desk. Jeriah waved to her as he led them to an office on the top floor. Inside there was another wolverine with a large pile of papers on his desk, muttering to himself and clicking away at an abacus far more rapidly than they’d ever seen anyone use one. OK, the rates were NORMALLY higher for newcomers than for established traders or rival families – but Jeriah had gone well beyond that! He’d tried to double the normal-cargo percentage – and on THEIR cargo, that was absurd! Never try to skim so much that a tiny fraction of it would pay for a hit on you! Marty had already made sure that it was an accurate list of what they were here to sell, as separate from their personal entourages. The Counter looked over the list of charges and pulled out another small abacus from his desk as he started zipping beads around far faster than they could track. Marty was kind of interested! According to the girls, that abacus was the magical equivalent of a small personal computer system! And helped with multi-tasking! And might have a bunch of other functions! That was really kind of neat! Being back to doing business again was really getting back to his roots and was quite invigorating! Marty was good with that (they had come to trade after all) but Kevin had been testing, and had gotten quite enough to satisfy himself that the Counter was perfectly aware of Jeriah’s skimming, was probably getting a share of it, and was intending to use their families power and influence to gloss over the incident. He didn’t bother with the private link with Marty. If Mr Counter wanted to hypocritically use his own mind-magic to pick up their telepathic conversation, that was fine with him! Now… could he blow up the building without damaging the rest of the city too much? The Annihilus Wave – last unleashed against a galactic battlefleet – swam in the back of his mind as echoes of Melkor’s primordial rage began to rise and infuse his mind. Marty tried to divert him by having Limey look for a suitable set of spells! Perhaps Acid Fog? It would be draining, but not disastrous… They wanted the general area to remain existing! And Kevin’s thought that some portion of the continent, the sky, and the ocean would still exist afterwards was NOT really a route towards that outcome! Perhaps they could just supply massive resources to all their rivals? Kevin, mentally sorting through horrific black magics, did not notice as the Counter began fidgeting nervously with a charm on his pendant while stalling for time by “double-checking” his figures… The charm flashed magically after he fidgeted with it for a few moments. He began to cheerily consider the options for destroying the entire city, and which ones could be narrowed down a bit – and had the ship crew make sure that they were ready to take action as well. He let loose his own sonic squawk, seeing if he could briefly stun Jeriah and the Counter. Better out than annihilated along with the entire area! Jeriah gaped in horror as his ally vanished, horrific energies boiled off of Kevin, and the sound of people running came from below! He’d never even considered the possibility that these lunatics would be willing to start a battle against the house and the city guard! He’d realized that they might have done a few other things than trading to acquire that incredible mass of treasure – they couldn’t possibly have traded for all of that wildly-variegated mess – but this was insane! Marty sighed. At least the disappearance of one of his targets had convinced Kevin to simply play around a bit rather than unleashing any ultimate horrors! Oh well. He’d been hoping to simply dissolve the floor or something, but moderately-drastic might help divert Kevin. He had Limey turn the foundations into mud, and felt the building begin to settle and creak. Several wolfish guards and a pair of wolfish guard-mages burst into the room. Marty had Elera snag Limey with her telekinesis and started looking for the nearest window… It looked like his best bet was over the desk and through the folding doors that were partially open to the balcony beyond. This wasn’t good. Either this young wolf was psychotic, or berserk – or he actually was powerful enough that he had no fear of them. He certainly showed all the signs of it (as another canine, he was quite familiar with the canine power-telltales), and his companion seemed to be focused on protecting everyone else from his friend rather than worrying about the possible consequences of such a battle! He’d brought along two of his best counterspellers to try to contain a powerful, angry, mage – but they might not be able to deal with this! The guard-mages gasped as the young wolf raised his hand, ripped through their counterspells like paper, and unleashed a series of archmage-level destruction spells… He even tailored them to exempt the area around himself – and them – as he spun spells that disintegrated non-structural metals, clothing, furnishings, and finally the wood and stone of the building, gradually creeping down so that everyone would have ample time to escape – even if they were crawling. And he was just pulling power from the world to do it! On a scale allowing for spells like that! Oh gods. An angry Dragonlord (locally, someone who’d managed to subsume a minor god, and so could continue spellcasting indefinitely, with substantial power boosts) Archmage apparently specializing in destruction. The entire guard might not be enough to stop him! Marty was actually pleased… He’d diverted the boy enough that he was still only implying the threat of the kind of magical violence he could unleash, rather than actually doing it! For Kevin in a mood like this – especially when he had wolf-instincts – this was showing excellent self-control! Still, he co-ordinated his efforts with those of Elera and Minel to remove everyone who’d been in the room but Jeriah – who had slipped off while the guards were the center of attention – from the building, hovering them a few feet above the now swiftly-collapsing structure. The final headcount showed that the Counter and Jeriah were unaccounted for, but everyone else seemed to have escaped easily – if somewhat embarrassedly. The guards started searching the debris for the Counter and Jeriah, while also putting out small fires – so they told them that the Counter had teleported away while Jeriah had run off out of the office. Marty took full advantage of his mighty parrot voice to use his mystic artist talents to make sure that they didn’t run off in fear. The guards did look to be somewhat in shock. At least this pair had deliberately refrained from causing excessive casualties so far. They seemed to be more interested in humiliating their foes, and confident in their ability to do so. If the Mandas actually had been foolish and overbearing enough to provoke this pair… getting in between them would not be a good idea! Not without a GREAT deal more preparation anyway! Kevin took down the flame barrier, and let all the wolverines escape into the city to try and find clothing, while Marty squawked, did head bobs, and threw in some wolf whistles to rub it in. They then bowed sweepingly to the Guard-Captain, and headed off for the villa, trailing a seething mist of smoke and dark energy. Kevin simply strolled over to the Mandas residence, while Marty flew to watch out for attackers – and, of course, because he was being a parrot at the moment. The city formed a sickle around the harbor and the road began to climb higher and higher into the sculpted mountainside as the road worked it’s way up to the top of the city and the Mandas villa. Soon enough they reached the villa itself – and were slightly surprised to see how high they’d gotten in the seemingly short walk. Some sort of enchantment on the paving-stones apparently… A charm to combat weariness and speed travel. A lot of small enchantments around this city. Really rather obliging of them! A pair of family guards stood at the entrance to the villa. News got around fast. Somebody – most likely one of the guard-mages – had probably sent a magical message on ahead. He did keep an eye open for ambushes though. If there was one – or they dropped out of contact without prior warning – the Thralls were instructed to open fire on the place with the ships guns. The courier showed them to the top of the building. The roof was actually a pergola with grape vines growing all over them. A small large fountain sprayed water energetically, and vines had taken root in the fountain itself – although they were carefully sculpted to remain artistic looking and to prevent drainage issues. A large wicker desk and chair sat to one side overlooking the bay. An older – and wiser looking – Wolverine was sitting in the chair and looked to be reading a book. He and Marty laid out the complaint, and the fact that the Counter had apparently preferred to cover it up rather than deal with it. What, had Jeriah actually cowered in hiding somewhere until the building had completely collapsed and burned around him? He really had been an utter idiot! Good gods. Able to throw that kind of magic around in more than one field? On a whim? Jeriah had truly been a fool… If he’d so much as opened his eyes he would have seen the power-aura. Kevin dropped by the building site and spent a few minutes with various transmutations putting the building back. The payments requested by the city guard for an emergency response and fire-fighting were actually pretty reasonable too – even if they were pretty surprised to find him paying them. They headed off to see the cities attractions! And spend some money! To visit the social events and the theater and the taverns and such! And – since they would be spending money and magic so liberally – to see which groups would take the risk of inviting them places in hopes of great profits.